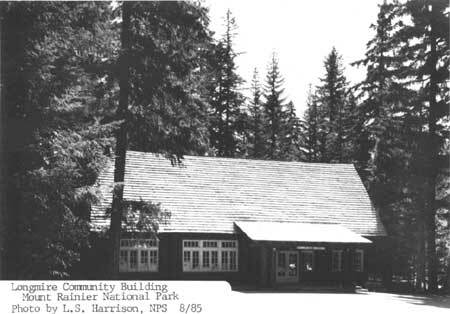 Longmire Community Building, Mount Rainier NP, 1985. 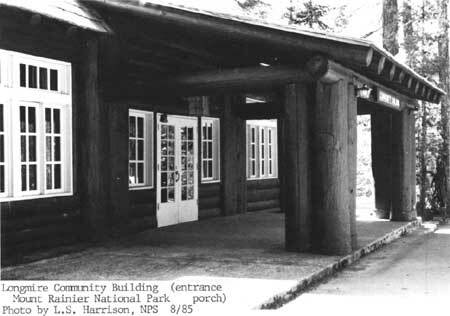 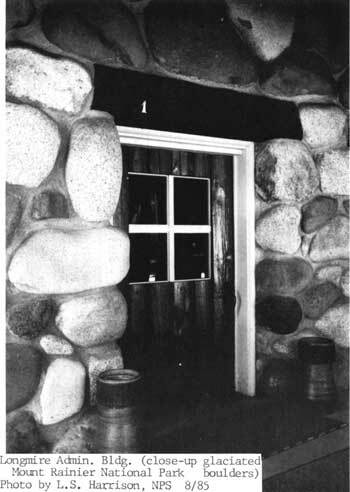 Longmire Community Building (entrance porch), Mount Rainier NP, 1985. 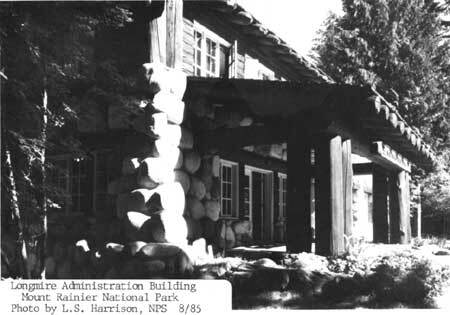 Longmire Administration Building (close-up glaciated boulders), Mount Rainier NP, 1985. 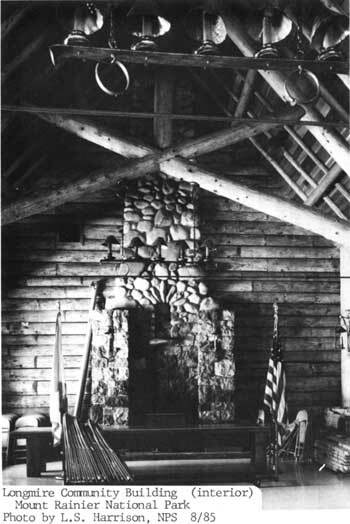 Longmire Community Building (interior), Mount Rainier NP, 1985.